← [Fantastic Five Friday] Favorite TV Theme Songs. Emma and Killian set off on a quest to find a compass that has been captured by a giant (guest star Jorge Garcia). Up, Up, Up the Beanstalk they go. While Snow, Aurora, and Mulan wait patiently at the bottom. As Emma and Hook climb, Snow helps Aurora with her nightmares. Sleeping curses were bound to have some sort of effect on them afterward. At the top of the beanstalk, Emma and Killian knock out the giant with a bag of poppy dust and go on a hunt for the compass. The thing about giants, is that they have a lot of goodies, it could be a long time before they find the compass, and the poppy dust only works for so long. I think the greatest thing that the fairytaleland story allowed was more of a relationship between Kilian and Emma. With Emma’s knack for attracting bad boys, it’s no wonder that when she pulled him to her so that he didn’t trip the trap, I immediately wanted them to kiss. The fact that I feel this way about them, of course means that they can’t be together. When Emma cuffed Killian, I was kind of sad. Even though he’s a pirate, I think he was being truthful about his loyalty being to the one that can get him to Rumple. It’s flashback time. We see Emma and her meeting of the minds with fellow thief Neal. Again, this show is just making me ship all of the ships. Seeing Emma’s back story added a bit of depth to her already complicated character. It didn’t seem unlikely that an ex-convict would become a bail bondsman turned sheriff. We learned that even though August gave up his quest originally, he realized that Emma still really needed him and he helped in any way he could. In this instance it was showing Neal something mysterious in a box. I loved seeing August again. I really missed him. I hope they continue to bring him back somehow. 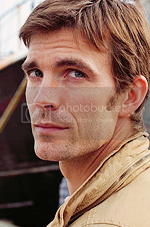 Especially since we now know he’s the one who sent Neal the postcard about Storybrooke. But what does this mean? Is Neal going to show up in Storybrooke looking for Emma? What’s going to happen when he meets Emma’s dad, who is literally Prince Charming? Or when he meets Henry, his son? Talk about family drama. I wasn’t sure how I was going to feel about Neal. But I think most of that stems from my secret want for Graham to come back. Also, because I didn’t want to have another person that I wanted Emma to be with. That said, I was not disappointed in the chemistry that Neal (guest star Michael Raymond-James) and Emma had. What surprised me the most was how quickly I felt their relationship. It was almost immediately. Their chemistry happened quicker than the chemistry between Emma and Graham. This is where I list the things I want to happen in this show. Some will be my imagination. Others will be things that could actually happen. – Ariel. In some form or another, I just want to see Ariel. They’ve already mentioned her, but I want to see her. – To know what the connection between Aurora and Henry is. – Return to Wonderland/Meet the White Queen. Here’s the thing I’m realizing. They introduce all of these characters, even give them all back story, but I want to know what else has happened with them. 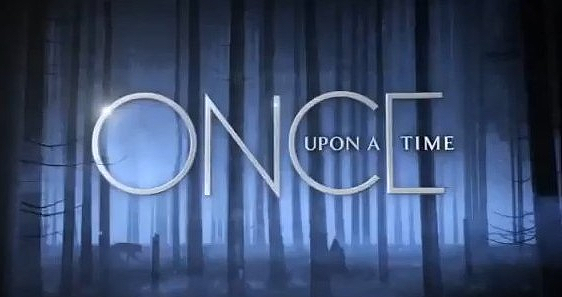 Check out the weekly Once Upon a Time podcast, Once. In addition to the discussion, they also put all the fairytale and Storybrooke stories into a timeline to keep things straight. I really love Killian. Like… a lot.